Are you looking for a fun way to celebrate your Dad this Father’s Day? Well look no further! 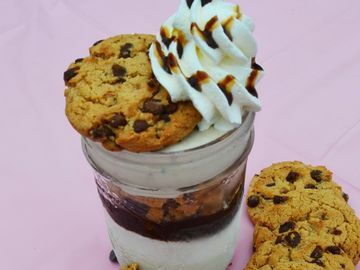 Baskin-Robbins has created three Beer and Ice Cream Float recipes and an entire lineup of Dad-inspired Ice Cream and Cookie Cakes to choose from. Beer and Ice Cream Floats? Yes, they are as amazing as they sound. Say cheers to Dad with this perfect Father’s Day treat. 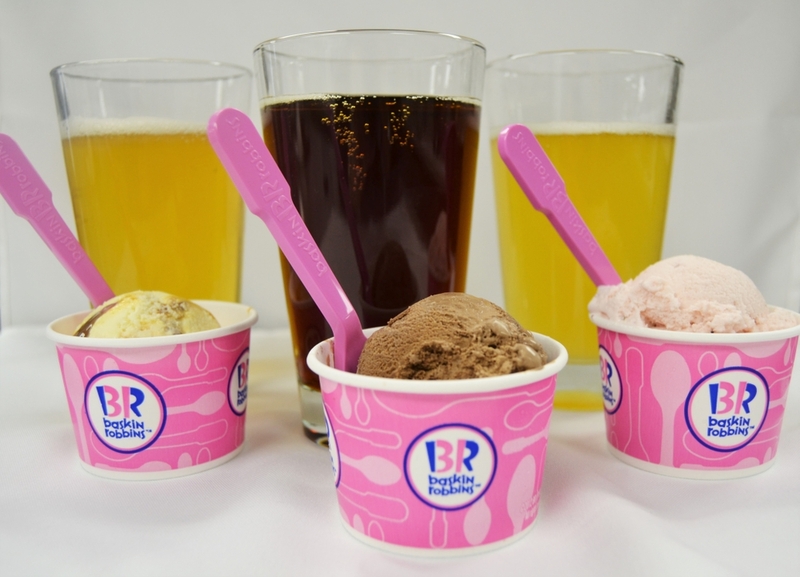 Inspired by our Cold One Cake in 2016, Baskin-Robbins collaborated with All About Beer Magazine, America’s leading beer publication, to identify popular ice cream flavors to pair with a range of cold brews. 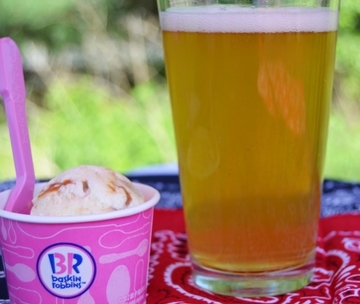 Using these pairings, Baskin-Robbins’ very own Research and Development Senior Technologist Kelly German created three Beer and Ice Cream Float recipes. 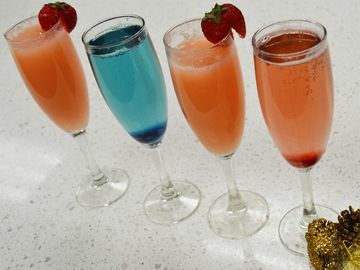 Be sure to check out the pairings and recipes below! Pick up a pre-packed quart of Very Berry Strawberry, Pralines ‘n Cream, and/or Chocolate ice cream from your local Baskin-Robbins store. At your local liquor store, pick up a six-pack of Saison, Pilsner, and/or Brown Ale. Pour beer into a chilled glass at a 90 degree angle until more than halfway full. 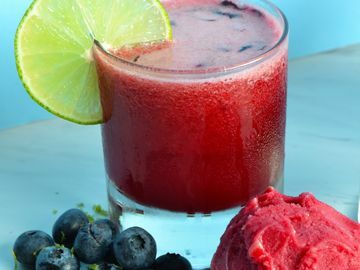 Add a scoop of desired, paired ice cream. Be careful, it can get a little foamy when adding in the scoop! Add a straw and/or spoon and enjoy. Looking for something more classic? Celebrate Dad with an ice cream cake as cool as he is! This June, Baskin-Robbins is offering an entire lineup of Dad-inspired ice cream cakes. From our Banner Cookie Cake, Bowtie and Suspenders Cookie Cake, to our Dad’s Shirt Cake, and The Cold One Cake, there is something perfect for him. 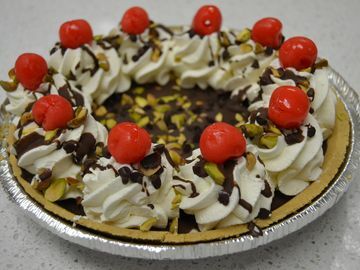 Check out the below video from our Research and Development Manager and Cake Designer Sara Cox for the inside scoop on Our Father’s Day ice cream cakes lineup! 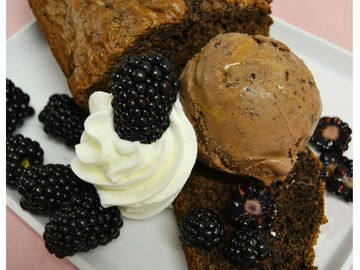 All of our Ice Cream Cakes are completely customizable with Dad’s favorite Baskin-Robbins flavor and available for pre-order either in-store or online at www.Baskin-Robbins.com.